Our beautiful tubs and showers are made right here in the USA out of durable materials that will last a lifetime. 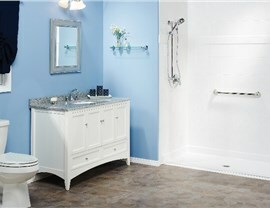 The bathroom is one of the most frequented rooms in your house. A dull, dingy, and dated shower or tub can greatly decrease the overall experience of your home. 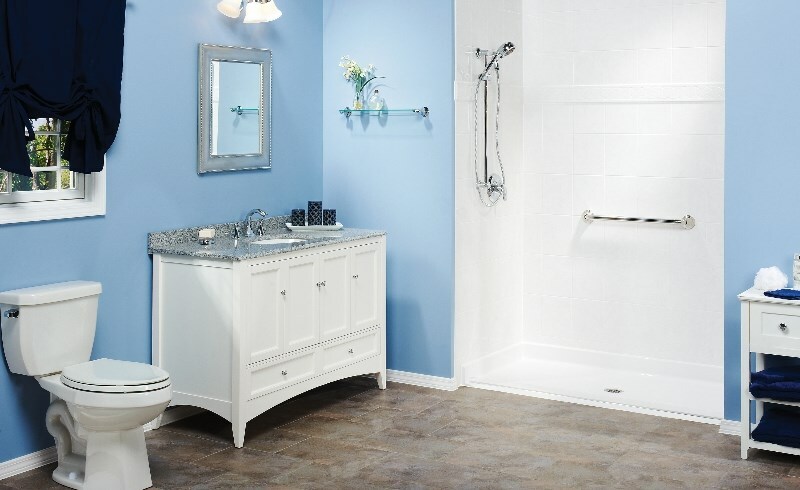 Your family and guests deserve a cleaner, more functional, and beautiful bathroom! The bathroom remodelers at Get A Pro are standing by to help you design a bathroom space that your entire family will love. We know what it takes to complete a Bloomington bathroom remodel quickly and affordably with little disruption to your daily life. As a matter of fact, we can transform your bathroom in as little as a day! 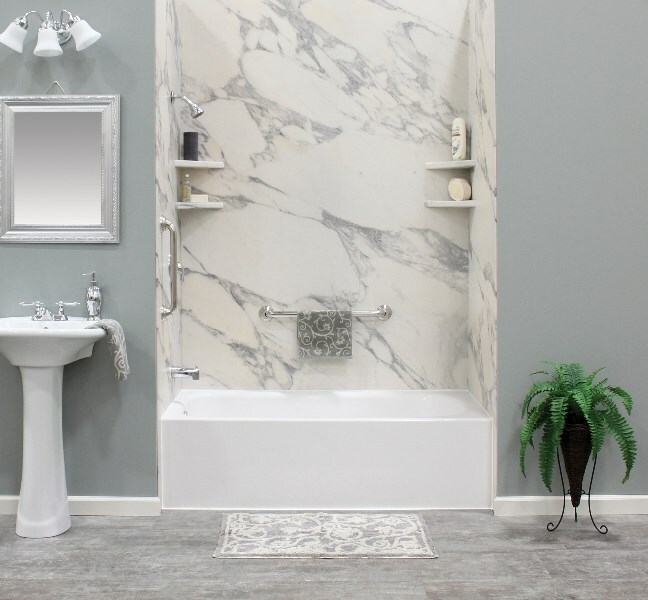 All of our tubs and showers are made right here in the USA out of heavy-duty acrylic and are professionally installed by our experienced bathroom remodelers to last a lifetime. 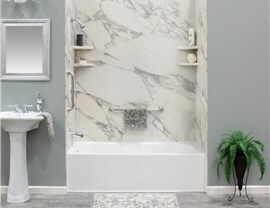 Since 1999, we have been providing affordable bathroom ideas and quality installations throughout the Quad Cities area, and our contractors have over 100 years of combined experience. You can trust us with your Bloomington bathroom remodel project, not only because we have decades of experience, but because we’re licensed, bonded, and insured. Because we offer such outstanding customer service, we enjoy an A+ rating with the Better Business Bureau, and we have been accredited by the Building Performance Institute, Inc. (BPI). There’s no better choice for your Bloomington bathroom remodel than Get A Pro. Take a look at our other home improvement services for Bloomington! It all starts with a FREE personalized estimate. Fill out our custom form or schedule a no-obligation in-home estimate today!